The UAE Ministry of Interior and Abu Dhabi Police Headquarters have built a successful communication platform which both appeals to and engages with the public. Together, they take a proactive and preventative approach which includes the citizens themselves in crime prevention. Their techniques aim to spread social awareness and build rapport within the community. Last year, the Headquarters created an objective to reduce the amount of traffic accidents and encourage safer driving. It sponsored various racing events and catchy motos such as “Formula Thrills, Speeding Kills”, which appealed to high risk demographics. The media campaigns were deemed highly successful. Last year mortality rates from accidents dropped 17 percent, and the total accident rate dropped by almost 10 percent. This year the Ministry is hoping to further decrease accident rates through an initiative to reward safe drivers. This holistic approach to engaging the community has seen them receive various B.I.D. Quality Awards. Effective communication is a core component of the QC100 principles that stem from Total Quality Management, in which the BID Quality Awards are based on. 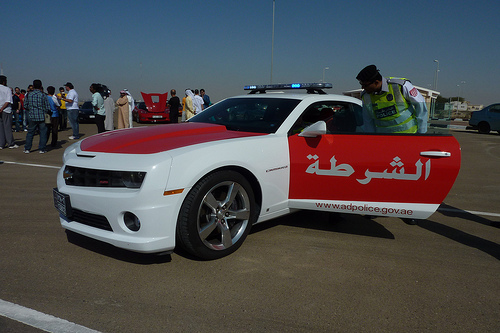 The Abu Dhabi Police G.H.Q are an ideal example of how these principles are put into practice. In addition, the Ministry was recently recognized by the U.N. for its work to eliminate gender discrimination in public services. Business Initiative Directions applauds the Abu Dhabi Police G.H.Q for its impressive achievements and tireless work.